We welcome the opportunity to discuss how we can be of assistance to you and your legal concerns. Click here to contact us. 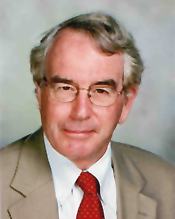 Charles McBurney is a native Floridian and has lived in Jacksonville since receiving his law degree from the University of Florida in 1982. He graduated with his B.A. with High Honors, also from the University of Florida in 1979. After 6 years with the State Attorney's Office where he handled misdemeanors all the way up to murder, he moved into private practice in 1990. McBurney is active in the Commercial Law League of America where he has held several positions. He is a past officer and director of the Jacksonville Bankruptcy Bar Association and has served as Chairman of the Bankruptcy Section of the Jacksonville Bar Association. McBurney has achieved an "AV" rating from Martindale-Hubbell and is listed in the Bar Register of Prominent lawyers. 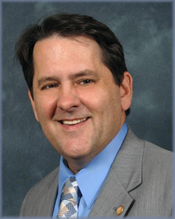 McBurney has been a frequent lecturer for continuing legal education regarding bankruptcy and commercial law. He was also a member of the Florida House of Representatives from 2007-2016 where, among other committees, he was Chairman of the Judiciary Committee, which is the House Committee overseeing changes to civil and criminal law. 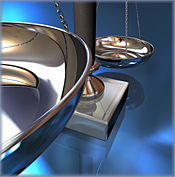 McBurney is a member of the American Bar Association, the Florida Bar and the Jacksonville Bar Association. He is admitted to all Florida courts, the U.S. Middle District of Florida and the U.S. Eleventh Circuit. His achievements have been published in Who's Who in America, as well as Who's Who in American Law. AWARDS -- Charles W. McBurney, Jr.
Gilbert Wright moved to Jacksonville from Boston, Massachusetts in 2001. He worked as a Special Counsel, Coordinator Management of Claims, and/or Consultant for Finlay Properties, Inc., Shands Medical Center and Blue Cross/Blue Shield before joining the McBurney Law Office as an independent professional association with an "of counsel" affiliation. Wright received his L.L.B. from the University of Virginia Law School and his B.A. from Brown University in Rhode Island. He was on the Editorial Board of the Virginia Journal of International Law. He is a member of the Massachusetts Bar, United States District Court and is an Authorized House Counsel of the Florida Bar. He is active on the Downtown and Southside Council; Teen Court Magistrate as a volunteer; Downtown Ecumenical Services Council Board of Directors; and the Meninak Club.